We are open! Come check out our brand new location at 5821 Charlotte Pike in West Nashville! The restaurant features more space, better parking, a new bar and large patio, perfect to enjoy with friends and family. Mark your calendars for our grand opening celebration on Saturday, October 22nd! Come celebrate with us and enjoy live music, giveaways, selfie booth and much more. 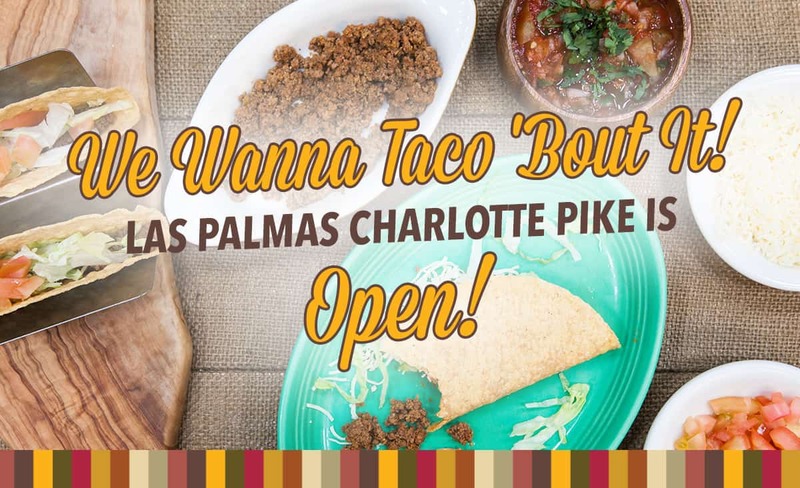 Giveaways include our famous t-shirts, hats, gift cards, coupons and one lucky winner will get FREE Las Palmas for one year. We look forward to see old, familiar faces and new ones, alike!